ConceptDraw DIAGRAM is a diagramming software for making audio and video schematics. 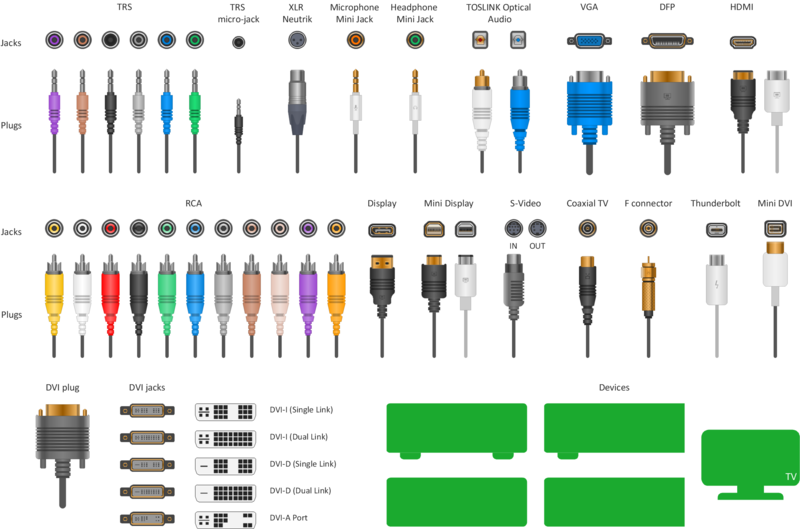 Audio & Video Connectors solution includes 94 vector stencils, examples and templates for making any hookup diagram of the home media connections. Example 1. Vector stencils - Audio video connectors. 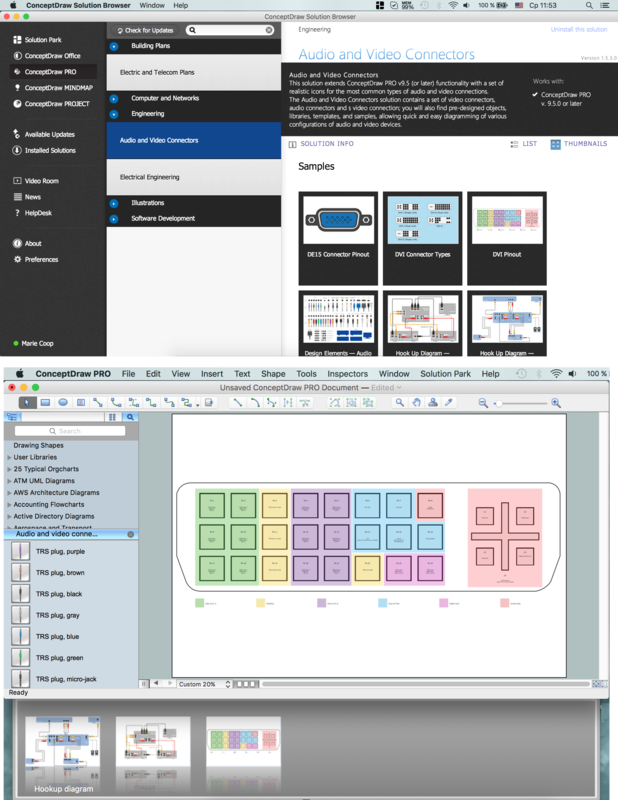 The Audio and Video Connectors solution from ConceptDraw Solution Park contains a library with vector stencils of standard universal audio and video connection types for drawing the hook up diagrams using ConceptDraw DIAGRAM diagramming software.